RSS reader Feedly launched a premium service on Monday that looks to improve upon their free offering by adding an extended feature set. The free version will continue to remain an option as RSS readers in general are getting more attention now more than ever before following the closure of Google Reader last month -- (Feedly made it into our list of the best Greader replacements). Pricing starts at $5 a month for Feedly Pro which will initially include article search, https, Evernote and premium support. Article search allows you to search within your Feedly feeds, https adds an extra layer of security to your Feedly browsing, Evernote allows for one-click saves to any of your Evernote notebooks and premium support means you’ll get VIP treatment if you need assistance, skipping to the front of the line ahead of free users. Those looking to stick with Feedly for the long road may be interested in a couple of other subscription options. 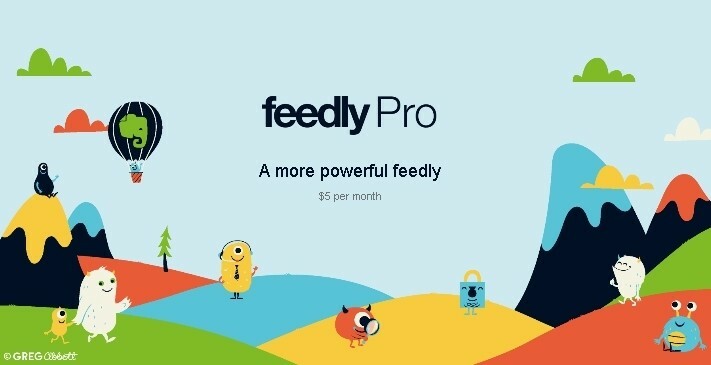 The company is offering up Feedly Pro at a yearly subscription rate of $45 – a $15 savings over the monthly rate for the same time period. Additionally, Feedly is offering a lifetime subscription to the top tier service for a flat fee of $99. If you plan to use the RSS reader for more than two years, this would be the most cost efficient path to take. Do note, however, that this is a first come, first serve offer as only 5,000 slots are being made available. Let's not also forget about the volatitly of web services, no matter how big or small the company, even though Feedly has been around since 2008.